Beijing, China - On January 21, 2019, Senior Managing Executive Officer of Panasonic Corporation and CEO of the Connected Solutions Company, Yasuyuki Higuchi; and Zhang Yong, Chairman of its partner in China Haidilao International Holding Ltd. (Haidilao), which operates the rapidly expanding Hai Di Lao Hot Pot chain of restaurants, spoke about "cross-border and cooperation" at the Peking University. 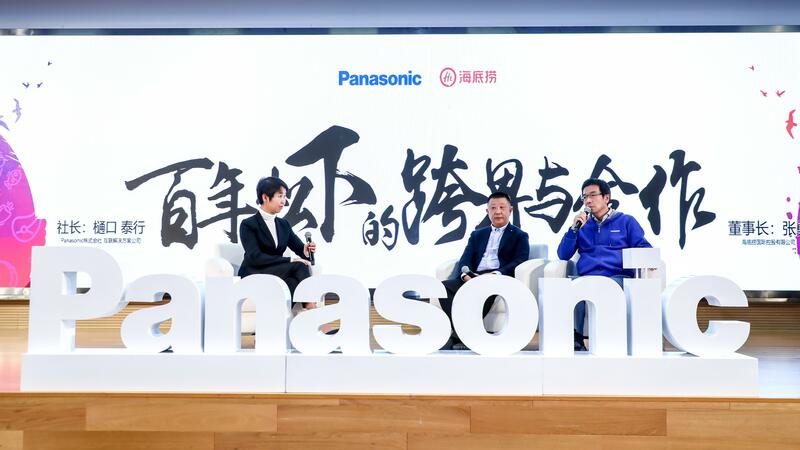 This was one of the events that Panasonic Corporation of China (PCN) has undertaken as part of Panasonic's centennial. It was organized with the cooperation of Guanghua School of Management, Peking University. Panasonic's management team, who spoke at the event, helped promote Panasonic's management philosophy and its business activities in China. 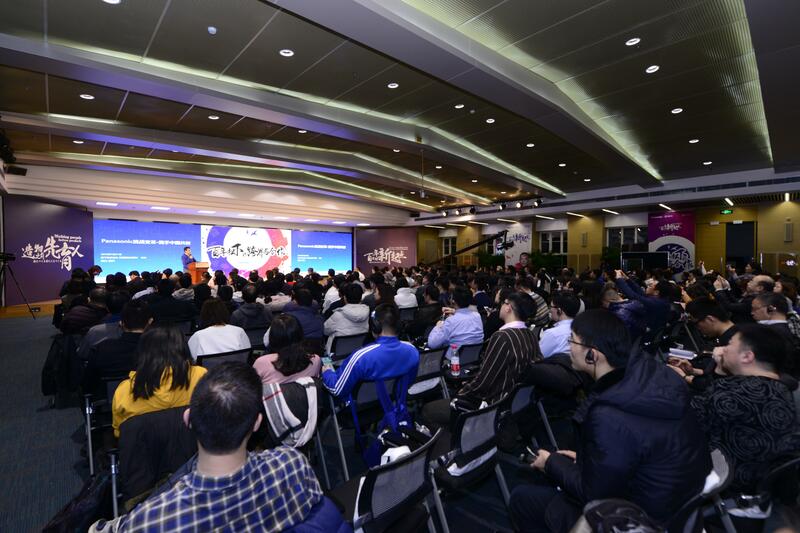 Approximately 260 participants, including top executives from various industries and students from Peking University attended the lecture, the second series of its kind. Panasonic's regional head of China and Northeast Asia, Sadaaki Yokoo, and Zhao Bingdi, Managing Director of PCN, also attended the event. To kick off the lecture, Senior Managing Executive Officer Higuchi took the podium to explain about Panasonic's global structure and its management philosophy. He prefaced his speech by saying, "Corporate culture drives a company more than strategy," and continued, "Connected Solutions Company has changed our business culture from one that is vertically siloed and heavy set to one that is flat and agile. We've even gotten rid of the CEO's office and we are creating an office environment where employees can communicate actively so that we can become a company that provides opportunities for individuals to grow, a company where individuals are excited and enthusiastic about their work." He also explained Connected Solutions Company's strategic concept of "Gemba Process Innovation" with diagrams and introduced the joint venture being undertaken with Haidilao as a case example, and how cross-border and cooperation are important themes of this partnership. "Konosuke Matsushita's words had a profound impact on me," said Zhang. 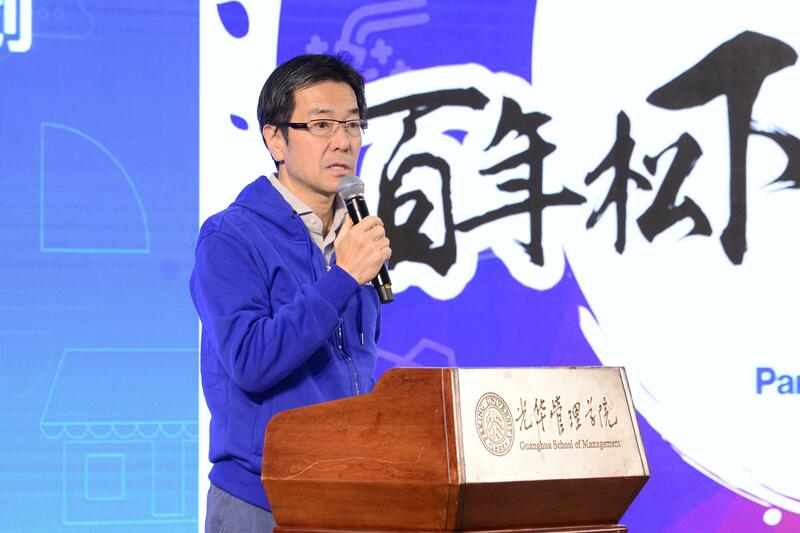 Then, Haidilao Chairman Zhang spoke about management philosophy, especially in relation to the growth of a company. "Employees should be promoted based on performance. This will be more convincing and satisfactory for them. If it's beneficial for them, employees will work more proactively, which will in turn benefit the company." 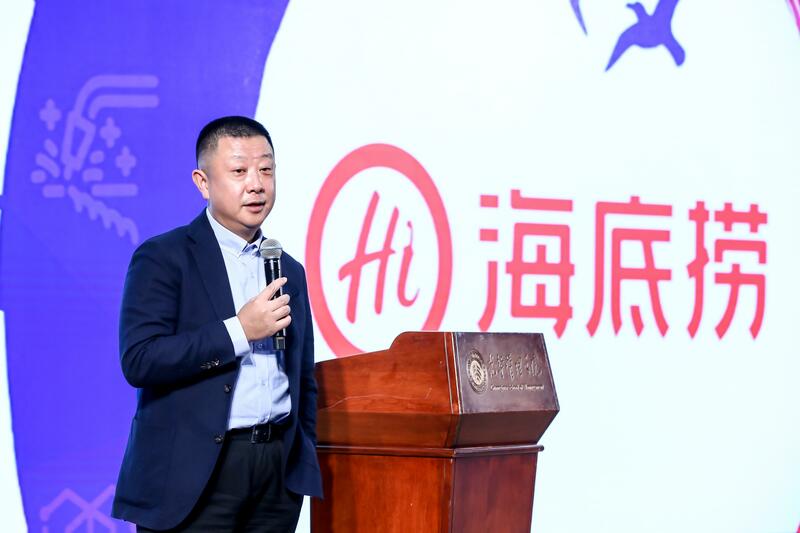 He also announced, "We will establish new smart restaurants that utilize new technologies to increase customer satisfaction by providing dishes suited to customers' individual tastes." Lastly, Dr. Zhai Xin, Associate Professor of the Department of Management Science and Information Systems at the Guanghua School of Management, Peking University, joined Higuchi and Zhang on stage to talk about the story behind the collaboration between Panasonic and Haidilao, the most important thing in management, and their views on corporate culture. They also took questions from the audience. Panasonic introduced examples of solutions created in partnership with Haidilao using technologies it has amassed over the last century developed based on its unwavering management philosophy. Panasonic will continue to take on cross-border challenges together with its partners in various industries. During the discussion Dr. Zhai (first from the left) and the 2 speakers exchanged views with the audience. The venue was packed with excited participants.